Sweet corn is one of my ultimate favorite summer treats. 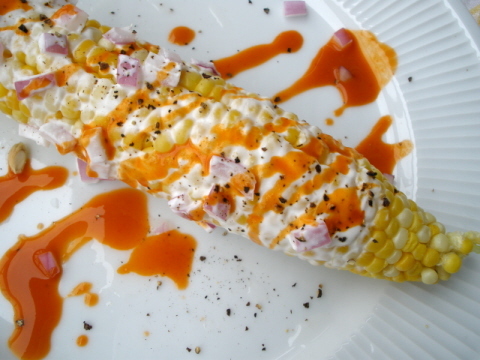 This recipe takes corn from day to night in a hurry!!! This has to be one of the quickest, easiest ways to get a summer dinner on the table. I thought it would be tasty, but it was actually pretty awesome (and good looking too). Load it up as much or as little as you want. As far as I’m concerned hot sauce is required, but you could leave it off if you want, just don’t tell me about it. Please let me know if you have any more suggestions for this loaded corncoction.